This month, we renewed our Waste Carriers Licence for another three years. There are a number of licences required to dispose of waste legally. They are not just pieces of paper. Each one reflects a skill set, an acknowledgement by the authorities that we do things honestly, and a commitment on our part to abide by the law. Here’s a rundown of some of the official documentation we are required to hold. Any business operating in England and Wales that is involved in the transport, buying, selling or disposal of waste is required to have a Waste Carriers Licence. People with a criminal record of environmental offences such as fly-tipping are barred from holding one. As an upper tier waste carrier, we must renew every three years. This licence refers to our yard in Great Yarmouth Norfolk and permits us to process waste there. We have liability insurances adding up to £15,000,000 worth of cover. Obviously, we hope we never have to make a claim on it. But having valid insurance is a legal requirement to operate in the waste industry. Renewed every two years, this certificate acknowledges that we have kept abreast of all the changes in the industry that relate to the transfer and storage of non-hazardous waste. We hold and update this documentation because we want to process waste in a way that is honest and safe for our employees and the public. In our experience, the vast majority of people want to deal with a competent, experienced, insured waste management company. After all, nobody wants an uninsured, inexperienced, incompetent driver reversing a 7-tonne lorry down their driveway! 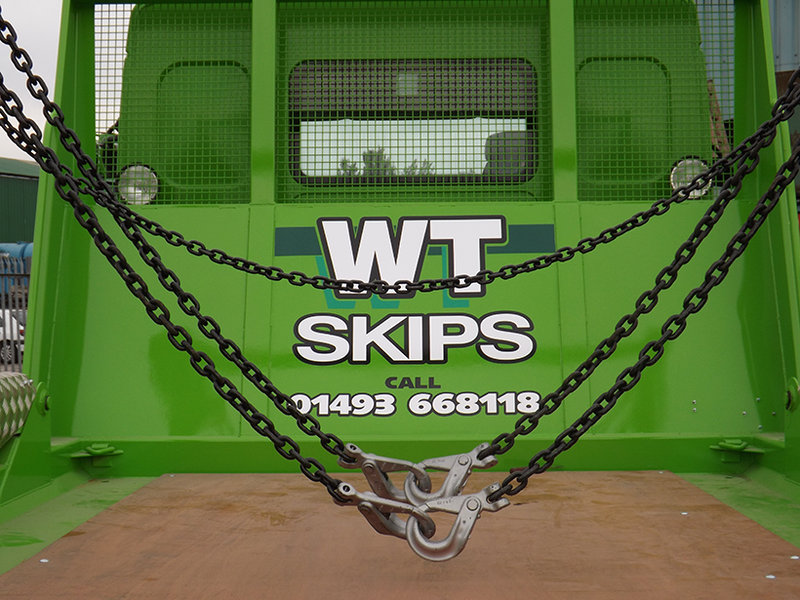 For more information about our skip hire and waste management services, please contact us on 01493 668118 or email any questions to info@wtskiphire.co.uk and we’ll get straight back to you.